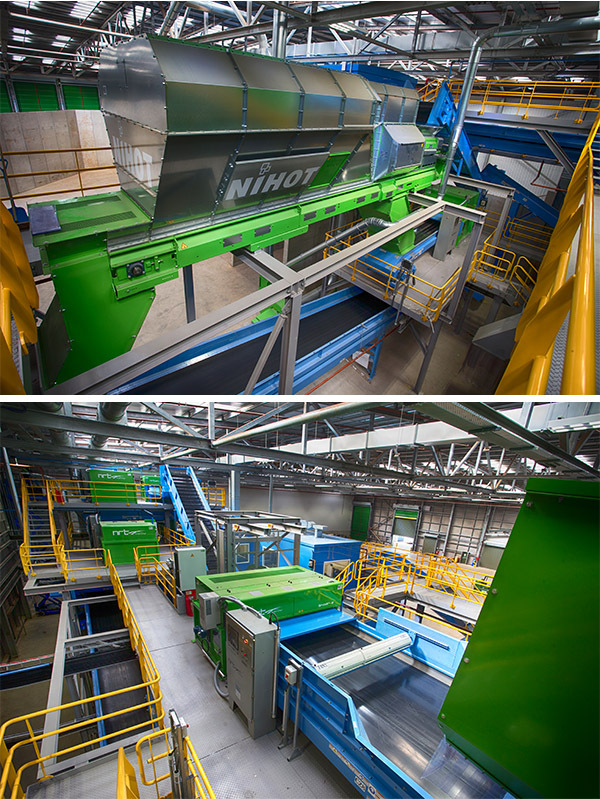 OSLO, Norway – Aug. 14, 2018 – – Norsk Gjenvinning (NG), Norways largest waste management company, has selected Oregon-based Bulk Handling Systems (BHS) to supply NG’s new state of the art paper recycling system in Oslo. Operational in Q1 2019, the system will process 20 tonnes per hour (tph) and run three shifts to process approximately 120,000 tonnes annually. Noteworthy to this process is the inclusion of Max-AI VIS (Visual Identification System) units to monitor the quality of outbound paper. The facility includes the latest technology to maximize NG’s paper quality and return on investment. 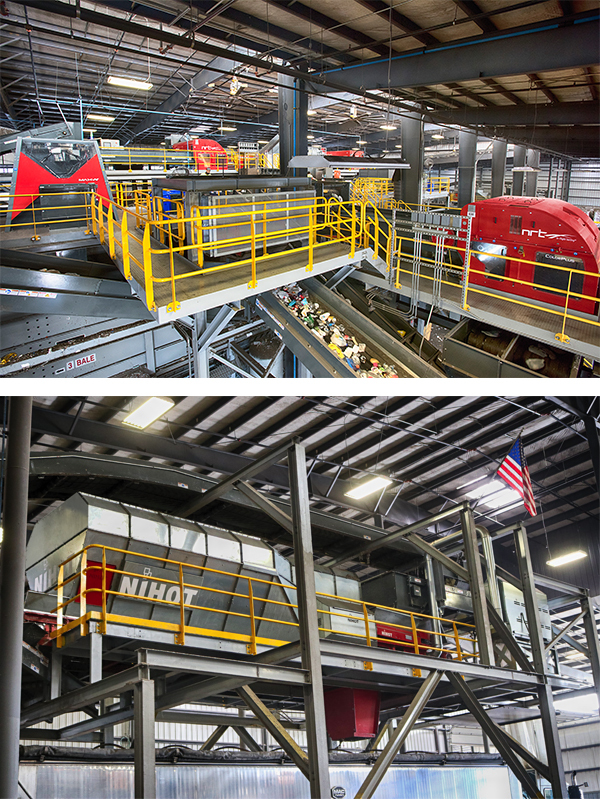 Six National Recovery Technology (NRT) optical sorters and four Max-AI AQC (Autonomous Quality Control) robotic sorters create a highly automated process, allowing NG to run multiple shifts with minimal variable cost increase. As highlighted by BHS’ FiberPure site, NG’s investment in a custom solution allows the company to take on more tonnage, create a highly marketable product, and decrease labor costs. The process begins with a BHS Metering Bin, OCC Separator and Debris Roll Screen® to feed the system, recover cardboard and remove fines. 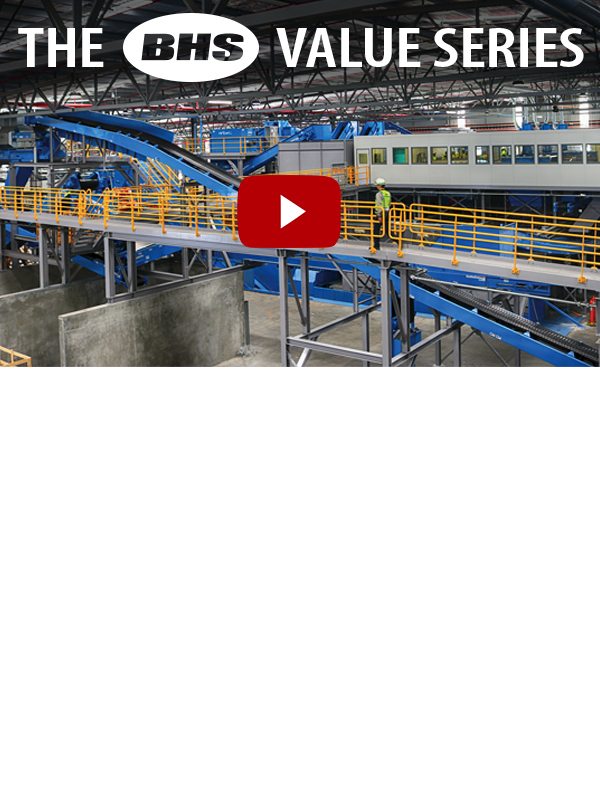 A BHS NewSorter® separates news and pams from smaller fiber and contamination. 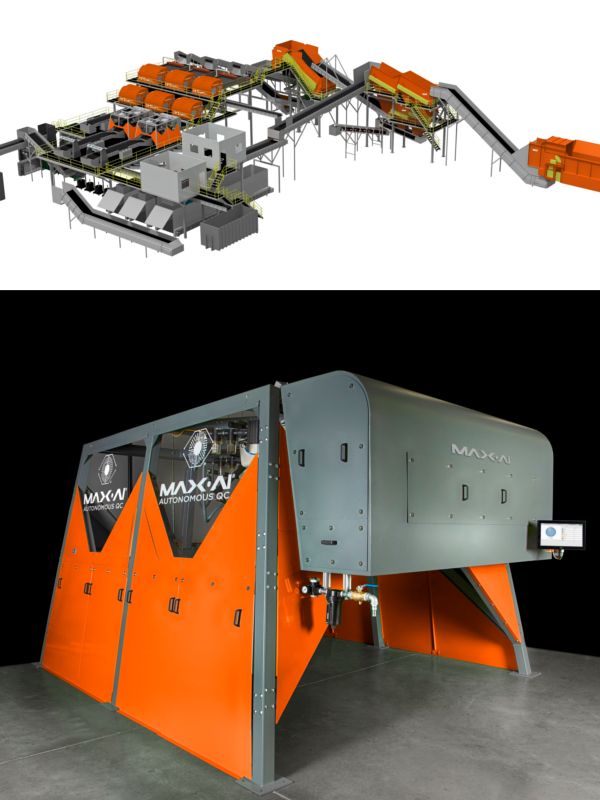 The news and pams are split into two material streams for purification, a process that begins with two NRT SpydIR-R optical sorters to remove and recover plastic film. 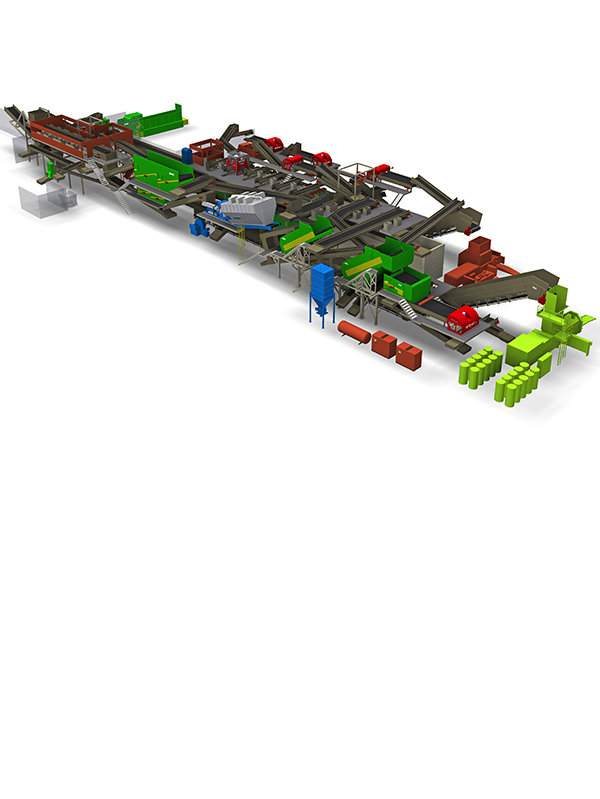 The news and pams are then treated by two NRT ColorPlus™ optical sorters to remove and recover any remaining cardboard. 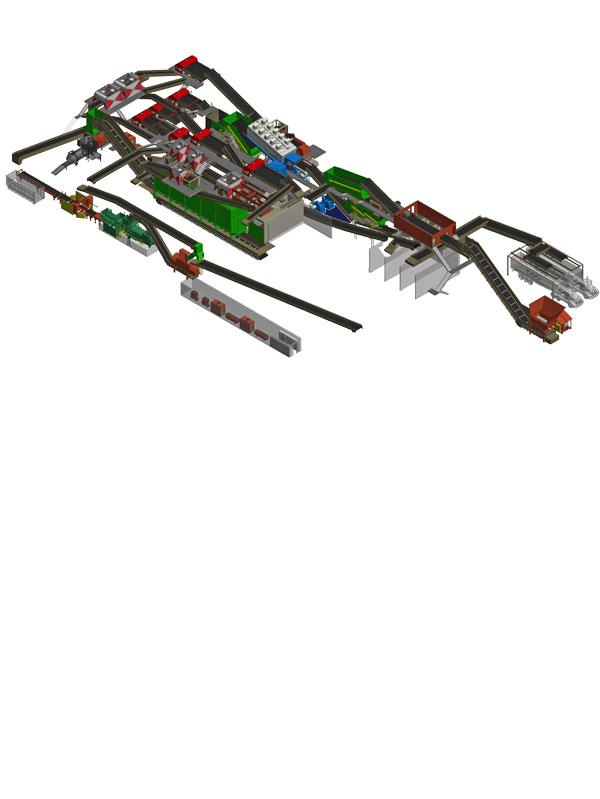 Final paper purity is achieved completely autonomously by Max-AI AQC-2 robotic sorters. NG will also recover aseptic containers and remove contamination from mixed paper with two NRT SpydIR-R units. NG will be able to analyze product quality in real time with its two Max-AI VIS units and the Total Intelligence Platform. With material purity requirements paramount, this is an advantage that will allow NG to ensure the system is creating highly pure paper before it goes to market. This is the world’s first system to commit to this level of intelligence. With both NRT and Max-AI technologies reporting material compositions and communicating together through the Total Intelligence Platform, NG’s operators will gain valuable analytics to track, analyze and share with customers. “It is a pleasure to work with Norway’s leading recycler,” said BHS Europe Sales Manager Richard Tromp. “This system will truly be a first of sorts, whereby BHS, NRT and Max-AI technologies come together to not only deliver unmatched performance, but to also provide NG with intelligent and actionable reporting throughout the system – including product quality. We’re honored to have been selected by NG and I’m looking forward to providing a solution that will be profitable for many years to come,” Tromp concluded. NG receives unsorted paper and cardboard from both residential and commercial customers from southern Norway. The pure, outbound material will be used to create new paper and cardboard. NG handles approximately 25 per cent of Norway’s waste as well as waste from Sweden, Denmark and the UK. The company recycles 85 per cent of all waste collected and supplies secondary materials and fuel to customers in Norway, Europe and Asia.